Let’s have a serious talk about humor. It’s tough to do well. It can be controversial. And it may land with a thud in business or nonfiction writing, particularly across cultural contexts. And yet … the careful application of humor catches the reader’s attention, sustains their interest, and, if done well, earns their trust. Mary Roach – dead bodies, digestion, etc. These writers aren’t comedians—they’re great communicators who use humor as one of many strategies to connect with readers. If it works for them, it may work for you, whether you write fiction or nonfiction. 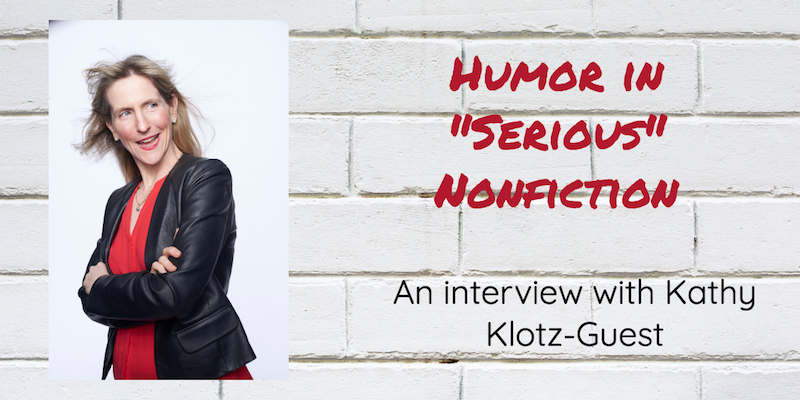 For advice on using humor in nonfiction and business writing, I turned to my friend Kathy Klotz-Guest. 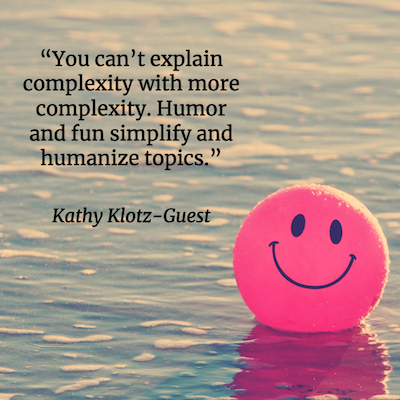 Kathy is an author, speaker, storytelling strategist, and improvisational comedian. In addition, she’s a genuinely fun and funny person. She generously shared with me some of her thoughts on nonfiction writing. So, what’s funny? Look in the mirror. For writers, if you speak the truth about yourself, approaching your vulnerabilities and foibles with a sense of fun, you can forge a connection with readers, earning their trust. Metaphor, similes, and honest stories can go a long way here. Most often, humor fails when you don’t understand the audience. Did I mention that Kathy is an improvisational comedian and teaches the art to others? That background contributes to her communication skills. Saying yes and in an improv scene means you accept what the partner offers and build on it. To make the scene partner look good, one refrains from grabbing the spotlight while offering something funny for the other person to work with. 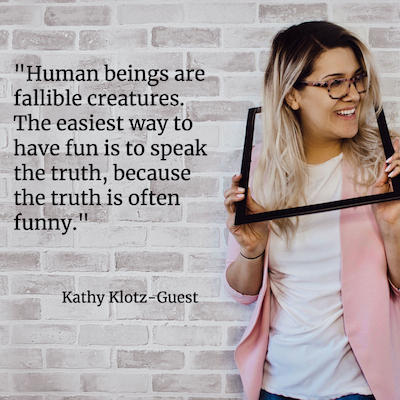 Find out more about Kathy on her website, KeepingItHuman. Check out her book Stop Boring Me. For more on varied nonfiction writing techniques, see Writing to Be Understood: What Works and Why.